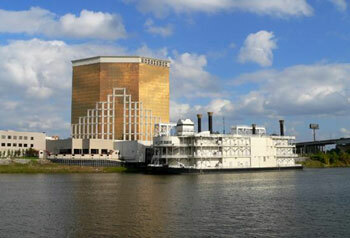 Horseshoe Bossier City is a riverboat casino located in Bossier City, Louisiana, across the river from Shreveport. Horseshoe Bossier City has 606 suites in its 25-story hotel tower. Horseshoe has over 1,500 slot machines and over 60 table games. Horseshoe has over 200 video poker machines, and a 14-table poker room.